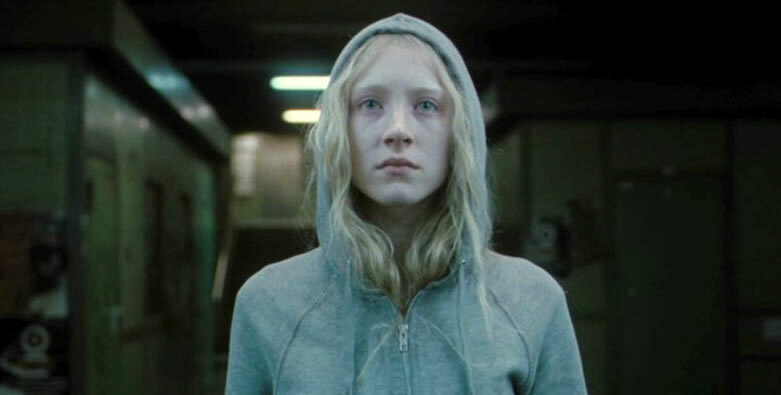 The film opens with scenes of 16-year-old girl Hanna Heller (Saoirse Ronan) and her father Erik Heller (Eric Bana) in the blue-white frozen wilderness of Finland. They are living off the land hunting and trapping for food with a hut for a home. Alwin H. Kuchler (director of photography) carefully paints a world of stark beauty, as well as total isolation. The mood is set through shots portraying the closeness of a father and his daughter, but we quickly realize his “Training” of her goes far beyond the skills needed in their world. We learn that there is a reason he moved her to, what had to be the most remote location imaginable. They are being hunted. Erik understands that a day will come when Hanna will need to enter a world that is quite foreign to her, and one where powerful forces are set to kill her. It is with this in mind that from the youngest age, her father has been training her to become an assassin. He has invested thousands of hours in to not just how to protect her self but has invented, and demanded she memorize a complex serious of back-stories to allow her to bled into a world filled modern technology she never personally seen. One night, sitting in their small cabin, Hanna tells Erik that she is ready. We see him come back with a transmitter and places it before Hanna who flips the switch, sending a signal revealing their location to Marissa Wiegler (Cate Blanchett). We discover that Wiegler is a rogue CIA agent determined to kill of the last link to failed attempt to genetically alter the DNA to create a group of babies that will grow to be powerful killers. The CIA agent has a team is sent to the cabin a they capture Hanna and drag her to an underground safe house in Morocco. Marissa Wiegler is suspicious over the ease with which Hanna was caught, and sends another woman pretending to be her enter the locked room to interview the girl. Hanna quickly kills the woman she believes to be Marissa, and breaks free and escapes the compound. We discover that Erik is a former CIA agent who betrayed the agency when Marissa gave him the assignment of killing the very young Hanna, the last surviving member of the failed experiment. Instead, he takes Hanna away into hiding and raises her as his own child. Marissa underestimates the power and training of young Hanna, and the rest of the movie is a deadly game of chase between Hanna aided by her father VS. Weigler and a small team of CIA agents. The Cinematography is beautiful, and make use of locations that are as varied as they are interesting, including a climactic scene set in a place modeled after Alice in wonderland. Ronan gives a powerful performance as Hanna and Cate Blanchett is chilling as Marissa, combined with Eric Bana, Hanna is a film definitely worth watching.